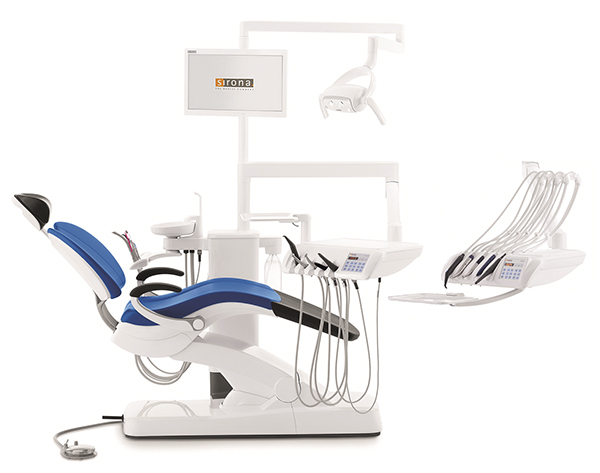 At Heritage Dental Group, we offer the latest technology available, providing our patients with the best long lasting smile. Our dental practice in Indooroopilly, serves the oral health needs of western suburbs and surrounding areas. We welcome you to come in, meet our team and have a cup of coffee with us. Our team at Heritage Dental Group welcomes you with exceptional customer service with our aim of making patients relaxed & comfortable, explaining options regarding their oral health, answering any concerns and training them in preventative measures. If you have any questions regarding these technologies please contact us. 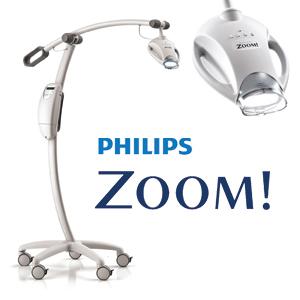 When it comes to Philips Zoom, you’ll get the most dramatic results with WhiteSpeed. In 45 minutes your teeth could be up to 8 shades whiter, reversing stains from food and drinks, ageing, even discoloration from some types of medication. If you choose Zoom WhiteSpeed, your treatment starts with your dentist checking your current shade, so you can both see the dramatic difference after your treatment is complete. Dentist will preps your mouth for teeth whitening and applies a layer of advanced whitening gel to your teeth. To speed up the whitening process, Dentist will shine WhiteSpeed blue LED lamp onto your teeth. This accelerates the whitening, plus the lamp’s variable settings ensure you’ll get a comfortable experience. Once you’ve reached your desired shade, the dentist will apply post-treatment gel to help protect enamel and reduce sensitivity. We have been early adopters of digital patient records. 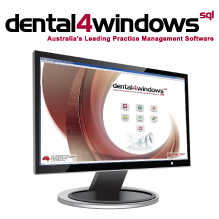 This system safe guards your records, confidentiality and allows us to keep track your dental treatment and needs. 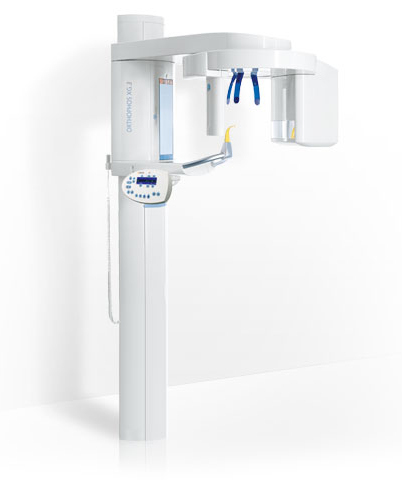 The ORTHOPHOS XG 3D is a safe, high quality equipment for general dentists with 17 panoramic and 4 ceph programs and automatic patient positioning. The high image quality and proven SIDEXIS XG software guarantee, increased reliability for quick and easy diagnosis. We offer this service during your appointment to save you additional visits to get an OPG done elsewhere. 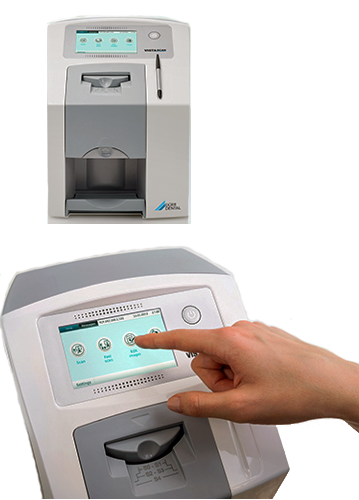 The image plate scanner with a touchscreen for intraoral formats. The new VistaScan Mini View image plate scanner enables the intuitive, efficient, and time-saving digitisation of image plates. Digital X-rays are faster and more efficient than traditional radiographs in processing and viewing. With this latest technology, your dentist can also store digital images on the computer and compare them with previous or future images to see how your dental health is being maintained. As the modern sensors and phosphor plates are more sensitive to X-rays than the traditional film is, the radiation dose is significantly reduced. Digital X-rays have many uses besides finding decay and cavities. They also help look at the bone below the teeth to determine if the bone level of support is good. Dentists can use the X-rays to check the placement of an implant, endodontics, position of wisdom teeth and orthodontic purposes. 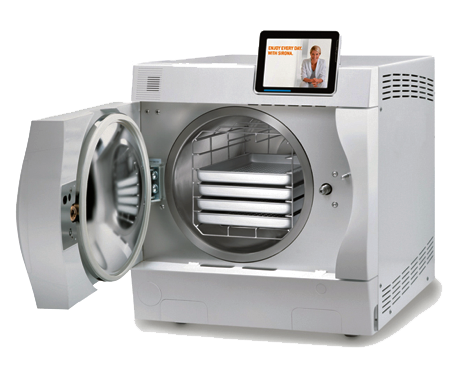 At Heritage Dental Group, as part of our strict infection control procedures, we use DAC PREMIUM+ which uses the same double-walled sterilization chambers (twin chamber technology) as hospital autoclaves. The chambers are preheated with steam, which is then used for sterilization. Our patients are protected by the best possible sterilization result in a reliable and legally compliant manner. 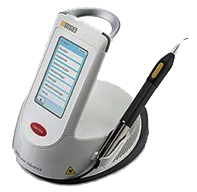 Due to the number of advantages, a dental laser is a standard feature of a modern dental practice. If you ever need a soft tissue dental procedure, the traditional use of a scalpel or diathermy is gladly avoided with what is a bloodless, and less traumatic technique. We are pleased to be able to have you recover quicker and of course with less (if any) discomfort. This high-resolution, USB-based camera is equipped with autofocus and generates excellent intraoral images results in better patient treatment results.